Franz Koller is a new Board member of the "Software and Digitalization" division of the German Engineering Association VDMA (Verband Deutscher Maschinen- und Anlagebau e. V.). In this new role, the Managing Director of User Interface Design GmbH (UID) from Ludwigsburg will support companies in fully exploiting the potentials of Industry 4.0. The "Software and Digitalization" division represents software developers as well as development units of renowned mechanical engineering companies. At their general meeting in Berlin, the 300 members elected UID's Managing Director Franz Koller into the 11-person board. He will primarily focus on the latest trends such as Industry 4.0, mobility, service design and business models. Being a VDMA member, UID has been contributing to the "Software and Digitalization" division for years. In his last role, Franz Koller supported the "Mobile Apps" team in the field of business modelling in defining criteria and examples that serve to give companies orientation when it comes to developing sustainable business models. Before that, he contributed to a guideline on app development for the manufacturing industry. Moreover, he co-authored the VDMA guidelines on software internationalization and software ergonomics. 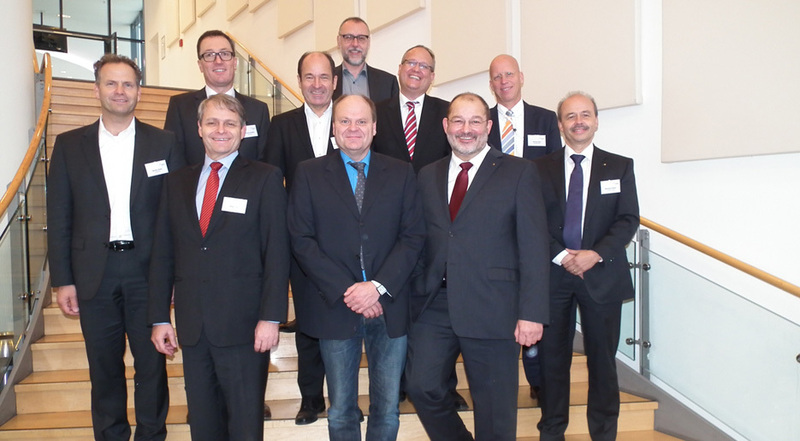 "The election shows that the VDMA members value UID's commitment for the German capital goods industry. We are happy about the opportunity to share even more of our expertise with the Association and to use our hands-on experience to help master the challenges of an increasing digitalization," said Franz Koller. The computer sciences graduate has been supporting corporate customers in designing user-centered products and services for 20 years. He was the co-initiator and editor of the DIN EN ISO 14915 standard on software ergonomics for multimedia user interfaces. In addition, Franz is a member of the Industrial Advisory Board at the Media University and a lecturer at Artop GmbH, a department of the Humboldt University in Berlin.